Need either a warm jacket or vest? How about getting both for the price of one? The Unparka is a jacket that can easily be converted into just a vest by unzipping the sleeves. 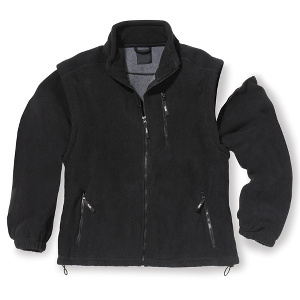 This functional jacket/vest provides warmth in temperatures as cold as -40º F. It’s lightweight even with a double layer of fleece bonded with a polyurethane layer. This keeps the body’s heat while repelling wind, water, and snow. 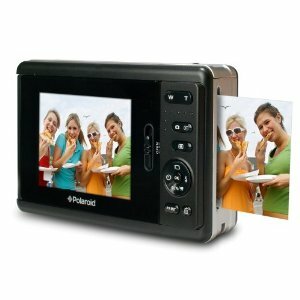 Want a digital camera, but also be able print your pictures instantly? The Polaroid Instant Digital Camera brings you the nostalgia of the old polariods but the technological advancement of today’s modern digital cameras. It prints 2 x 3″ borderless color images in under a minute without ink. It uses ZINK Zero Ink Printing Technology to print smudge-proof, water-resistant, tear-resistant photos. 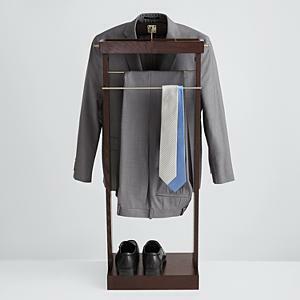 Keep your clothes organized with the Deluxe Standing Valet. This valet measures 45” high x 17.5” wide x 11” deep, and has an espresso finish. Hang your coat/shirt on the wood hanger, and your pants/ties on an adjoining brushed nickel pant hanger. Store your change or keys in the accessory tray, and shoes on the bottom step. This valet is perfect to get your clothes ready for the next busy morning. 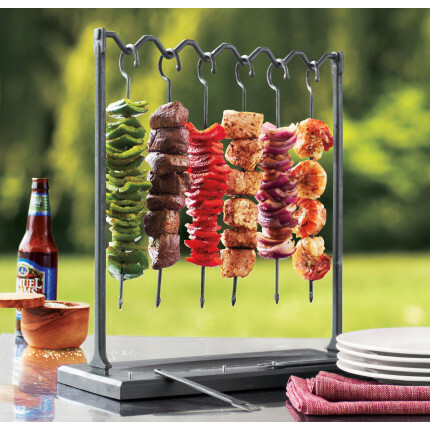 Grill skewers of delicious meat kabobs and veggies, and serve from the Skewer Station from Sur La Table. Each guest can pick what they want by pushing the meat or vegetable from the skewer down onto their plate. This station includes the rack, 6 cast iron skewers, and 2 cast iron forks. 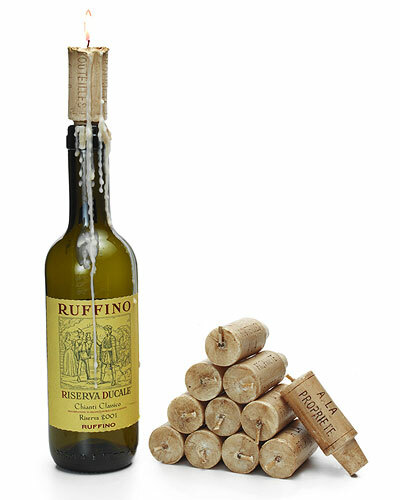 Set the mood and enjoy a romantic dinner with these Wine Cork Candles. Just plug these candles into any old wine bottles you have lying around. You’ll feel like you’re having a candlelit meal in a rustic Italian or French restaurant. 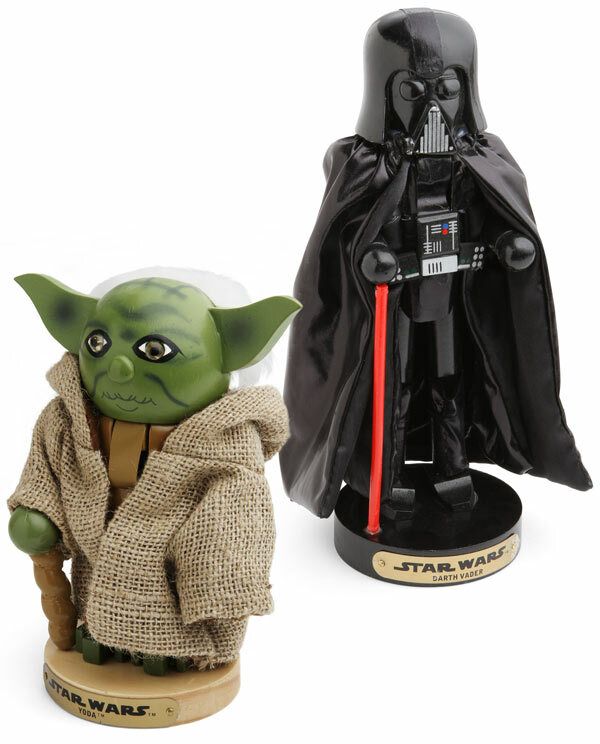 These will give just the right ambiance for that special occasion. There are 12 candles in a set. Want the comfort and feel of making a call on a regular phone while using your iPhone. 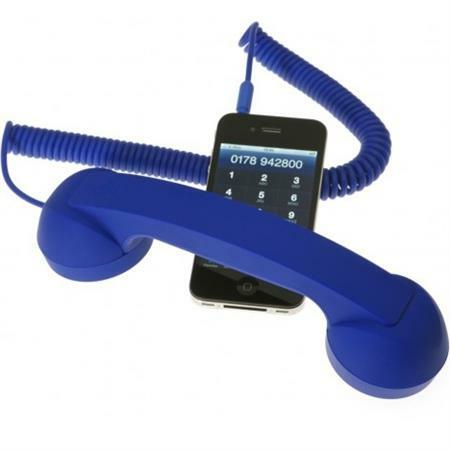 Then just attach the POP Phone Handset for the iPhone. This cool phone receiver developed by French designer David Turpin, can plug into your iPhone and you’ll feel like your talking on a landline. How cool is that! It also works for Blackberrys, as well as for iPads if you’re skyping. And it will help reduce cell phone radiation. 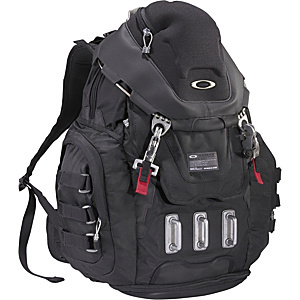 As it’s name suggests, the Oakley Kitchen Sink Backpack pretty much has everything you’ll need in a backpack. This resourceful pack has a mobile phone pocket, a padded sleeve that holds up to a 17″ laptop, a top storage compartment for eyewear or media player, and also a headphone port. There’s an inner organizer, and even a bottom compartment with drainage ports for wet or soiled items. Do you still wear sweatshirts, ripped jeans, and flip flops all the time? Want to style up your look a bit? 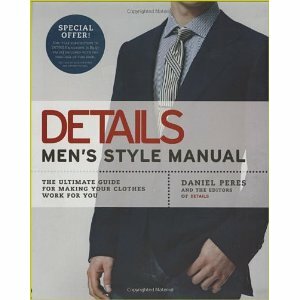 Well, let the Details Men’s Style Manual: The Ultimate Guide for Making Your Clothes Work for You, help you out in picking the right clothes. This book will give you ideas on how to look modern, sharp, and sophisticated. Need to type long emails or blog posts on your iPad? That might take a bit of time with the touchscreen. A simpler solution is to use the Bluetooth Keyboard for the iPad. This will make your tablet feel more like a laptop. 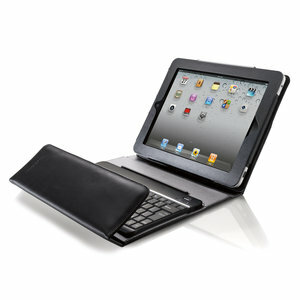 This handy keyboard with case has a fold-over cover and magnetic closure. Its built-in stand gives you convenient display of the screen. This is perfect to take on the go. 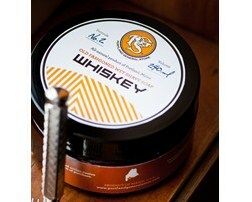 Lather up and give yourself a nice clean shave with the Whiskey Shave Soap. This rich and lathering shave soap has the distinct and manly scent of whiskey. This fragrance is created by hand from an updated 1920s recipe. It also has bentonite clay blended in, which helps pull oils and toxins from the skin. Feel fresh, clean, and masculine after a shave with this soap.